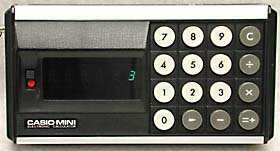 The Casio Mini showing its 6-digit display, lack of decimal point key, and its uncommon right-arrow key. 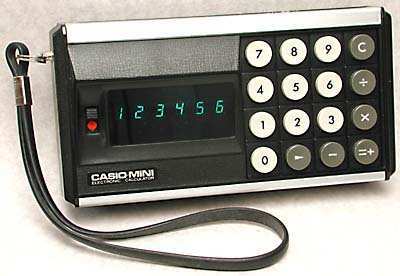 When introduced in August 1972 the Casio Mini had a very low and competitive price, below US$100.00 [�.00 Sterling]. 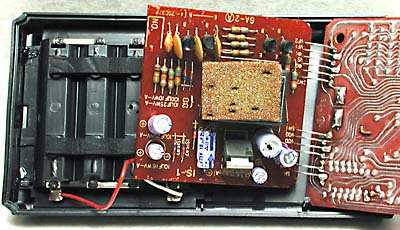 This was achieved by limiting the display to 6 digits, using fluorescent tubes (then cheaper than LED displays), and manufacturing in very large volumes. 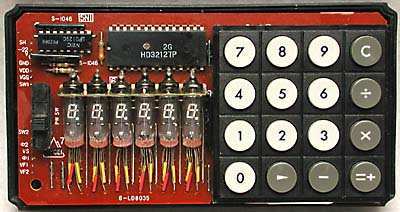 It was thought that most Japanese users would use the calculator for currency calculations and would be happy with a calculator that could calculate with whole numbers to �9,999.